Licensed in Law and Public Notary graduated from Universidad Federada de Costa Rica and member of the National Lawyers Association since September 1997. In the year 1987 he was a municipal Substitute Alderman of Turrialba, Cartago. 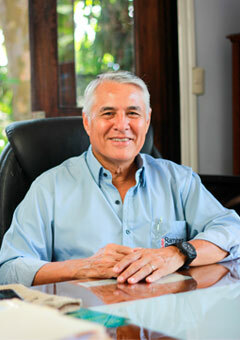 In 1990 became Municipal Alderman of Turrialba, Cartago. Founding partner of "BUFETE RAMÍREZ & BRENES", specializes in Constitutional, Labor, Civil, Family and Penal matters. He is an External Attorney of the Banco Nacional de Costa Rica.